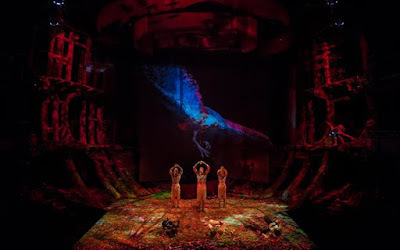 The Royal Shakespeare Company's performance-capture production of The Tempest, in collaboration with The Imaginarium and Intel, is running a series of talks including one this weekend that I would sorely like to see: Creating The Tempest: Brave New Digital World. The strapline reads, "What does the future hold for digital storytelling in theatre?" and the speakers include the visionary Sarah Ellis, RSC Head of Digital Development. 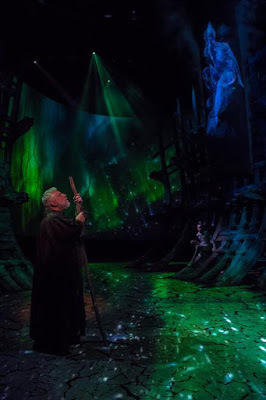 I had a chance to talk with Sarah this summer about the breathtakingly ambitious production, and all the brain-bending, tech-twisting challenges that go into animating in real time, live on stage. 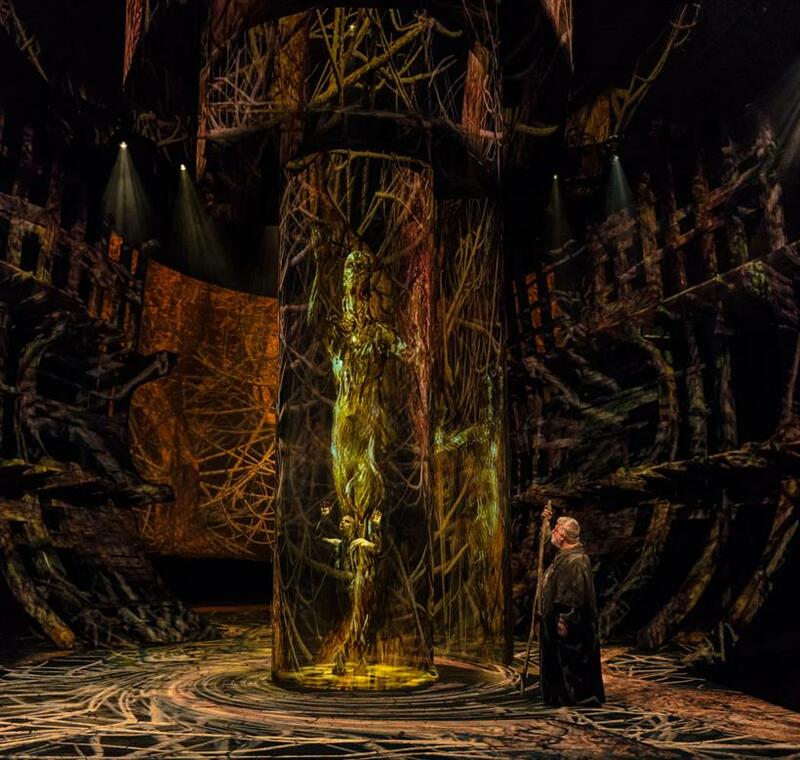 I'm hoping I'll also have a chance to see the final show in person, even if the cinema broadcast makes it to Toronto, because one of those many vexed questions is what surfaces and substances to project the avatar onto once you've cooked it up in the computer. Judging by the production photos, it looks like the RSC's answer is: "Everything that's nailed down, and maybe a few people who aren't." So it would be a shame to have to squint at that 360-degree experience through the keyhole of a movie screen. But in a way, watching a theatre actor... tracked by infrared motion-capture cameras and inertial sensors... driving real-time digital animation... projected onto a cylindrical scrim and a thrust stage... all recaptured on HD cameras... and broadcast into cinemas around the world? That's no more meta than watching a male actor play the female Rosalind pretending to be the male Ganymede role-playing "Rosalind" so that Orlando can hone his wooing chops.